Just home from CYM? Please fill out this online evaluation. On Wednesday Morning CYM Meeting for Worship for Business heard the now-resigned Youth Secretary’s final report. As expected, the report raises a number of heavy and complicated concerns. A myriad of difficult problems are raised by the report: a painful incident from last fall and the fallout surrounding it, the difficulty of separating personal relationships from business ones in a community as small as ours, the way that CYM handles human resources. Strong emotions and strong leadings were expressed, and it was decided that CMMC would hold an independent Meeting for Worship Sharing to help the Meeting find its sense. At the request of several Friends, here is the approximate text of the ministry offered by Maggie Knight (Vancouver Island MM, sojourning with Halifax MM) during our consideration of the former Youth Secretary Katrina McQuail’s report at Wednesday morning’s Meeting for Worship for Business, written up from her notes drafted while the report was read aloud. Friends, we are a small community. Our relationships are murky and inter-tanged. 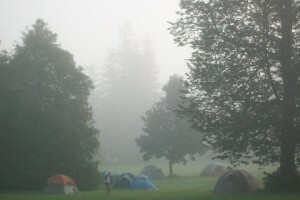 I have been struggling with the question of how we appropriately raise and bear witn ess to concerns that we see–particularly in situations where in the world outside the Religious Society of Friends we would step aside out of concerns of conflict of interest–while being aware of ways that we may have blind spots or be less open to hearing truths different from our own. I hope that we can all be open to th many personal truths,and to being mindful of the narratives we choose to tell about this situation. Let us be mindful of the harm through our small community, and the ripples of that harm, that has been names, and to have deep compassion for all those who have struggled with this concern, but may not have had space or agency to name their harm. Disagreeing with others’ truths does not make their experience of harm any less true, nor needs for healing any less acute. Let us be generous with our compassion and willing to exist in the “I don’t know” place when it comes to attaching ourselves to one true narrative. I want to thank those who have listened to what I have to offer throughout my witness in the process of trying to shape an organizational response to the Fall incident. I must also name that I find it difficult to trust at this time that I can find the language to help Friends hear me, not as a 24-year-old, or as a Friend working closely with Katrina in my role as co-clerk of Canadian Young Friends Yearly Meeting, or as a Friend with close relationships to many involved in the initial incident at Camp NeeKauNis, or the daughter-in-common-law of another Friend who ceased to be employed by Friends in a difficult fashion this past year. I am young, but I am lucky to live out a leading to foster stronger support for people–stronger Human Resources–in non-profits, including hiring, managing, evaluating, and firing staff, including discernment in a variety of complex and difficult situations. I hope that Friends can uphold me in finding the words that I may be heard for what expertise I can offer out of this leading. Friends, my trust has been bruised this year. I am here seeking to rebuild it and serve this purpose as best I can. But I am past a point where words can reassure me, and I have an urgent and sharp need for transparency and communication about how we address these concerns. I am happy to see some of this work already unfolding. Canadian Young Friends Yearly Meeting received a report during our Meeting for Worship for Business on Monday evening and we have shared deeply together. I ask that Friends hold us in the Light, particularly those younger Friends who are struggling with this concern in an absence of the details they desire as they seek to make sense of it. 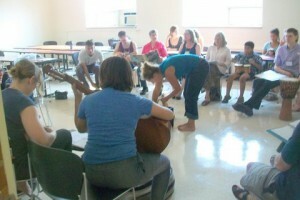 Thursday’s Meeting for Worship held by CMMC lasted for three hours. Friends canceled other programming in order to attend, and the intensity of the Ministry offered was unrelenting. Personal stories, many raw and vulnerable, were related. Frustration and outrage were much in evidence, but also compassion and careful hope that, now that problems have been brought to light, the hurt that has been caused and the circumstances which gave rise to it can be rectified. Despite the intensity of internal affairs, there is other news as well. On Wednesday, CYM minuted its commitment to repudiate the Doctrine of Discovery, an archaic concept which nevertheless still runs through our legal system. Details can be found over at CFSC. 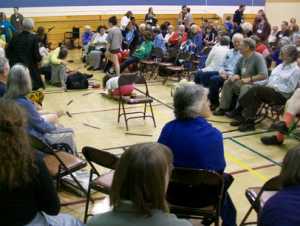 As CYM gets underway, Friends are conducting business, special interest groups, and the un-programmed activity that constitutes our annual community. 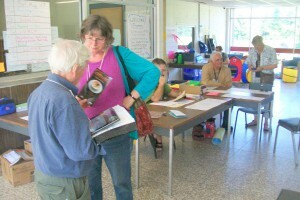 Ben Pink Dandelion of Britain Yearly Meeting began delivering his week-long Quaker study lecture series. In his entertaining, edifying style, he spoke on the history and theology of early Friends. In addition to his Quaker Study, he is spending time in worshipful discussion with Friends (young and not-so young) sharing his knowledge of Quaker faith and practice and helping us to find our truth. On Monday evening there was a slightly unusual gathering of LGBTQ Friends and allies was held, with Friends sharing their experience and engaging in worship sharing. The event was organized at the last minute by a small group of concerned Friends who felt the need for an LGBTQ presence at CYM and collaborated to create a safe space. Though the concerns that were raised and the experiences related were difficult, and the dialogue was not without friction, the sense was overwhelmingly that this sort of presence has been lacking, and Friends hope to repeat it in the future. Perhaps it’s a sign of changing times. Perhaps it’s CYM overcoming long held prejudices. Perhaps it’s that breakfast starts at 7am. Whatever the cause, it’s not just the Young Friends who are complaining that breakfast is too early this year. CYM opened with meeting for worship today. In attendance were a number of Francophone Friends, so ministry was given in two languages. Whether in translation or in broken French, each thought or prayer was reiterated to include all present. After an hour of worship it became natural, and Friends expressed their joy at the novel flavour of our gathering. In the evening was an annual fixture. The Sunderland P. Gardner Lecture was delivered, this time by our own Caroline Balderston Parry of Ottawa Monthly Meeting. Borrowing from the writings of Friends, from essayists and mystics, Caroline addressed Friends in their own words, punctuating her speech with poetry and song. 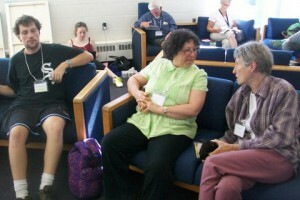 In three parts she explored different aspects of her topic, “the I don’t know place” and its relevance to Quaker practice: how it is not a state to be embraced and not dreaded, its relation to prayer and how it might shape our worship, the roles that we can play for those near to us who find themselves in the “I don’t know place”. At the end of each section Friends were given a few minutes bracketed by singing bowls and music to respond to queries in listening pairs. We carry forward the incomplete responses, ours and our Friends’, the fertile ground of discussion ploughed and sown for the week ahead. 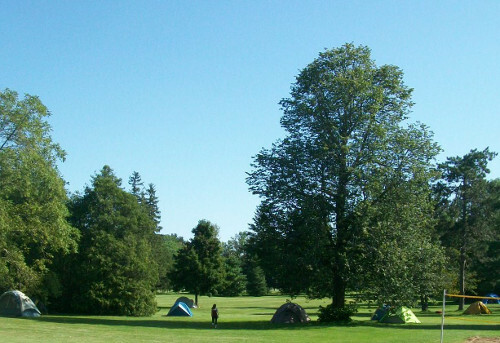 In a tree-dotted field in Kemptville, Ontario, tents are popping up in the dappled shade. Cars and vans and buses are disgorging passengers. Folks who haven’t seen each other in ages are embracing like old friends. Slowly but surely, Canadian Yearly Meeting is coming together again. Though the scheduled programming hasn’t started in earnest, Friends are busy settling in, preparing for the week ahead, and refreshing the innumerable connections that don’t happen anywhere else. Though we might worship silently, the sound of laughter, play, and conversation can get cacophonous. The schedule claims we’re “Retreat”-ing perhaps it ought to say “Rejoicing”. Programme Committee has been working tirelessly to make sure everything is running smoothly. Their work speaks for itself, and though the strain shows, the show keeps on rolling. At some point this afternoon a threshold was crossed and CYM went from being “about to happen” to “happening”. Our schedule this week is ambitious, but today’s energy and enthusiasm can’t help but inspire optimism.